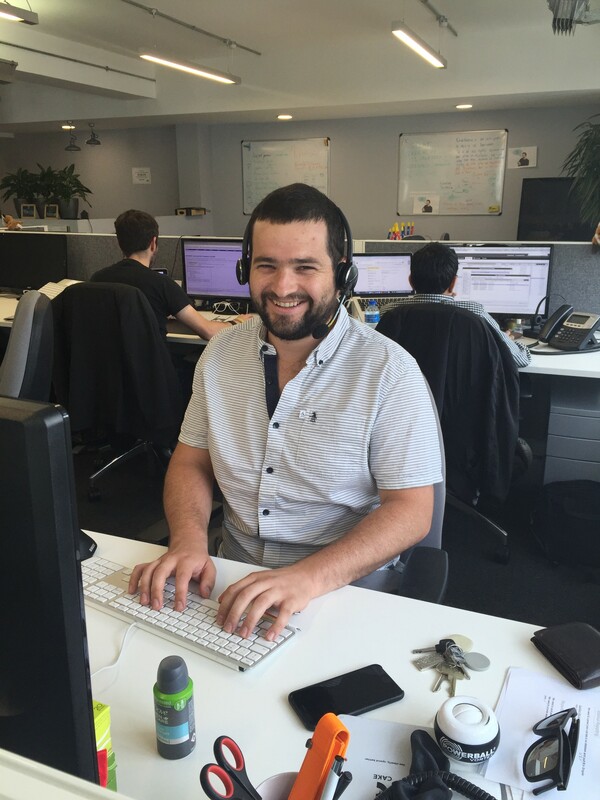 Today we introduce you to Felipe Uribe, a Technical Support Engineer within the Sales Team, based in London. Felipe was one of the first UK-based employees as he joined CAKE back in 2012 after working for one of CAKE’s clients Intela. A usual day involves me assisting the Sales Team with their demos. Especially when the demos can become very challenging and technically complex – I am always here to step in and assist. I answer any queries about the CAKE product prospects may have, whether this is via email or on the telephone. When I am not assisting on demos, I am creating documentation that helps to train the wider UK team. This is a vital element to my role, as I need to make sure everyone is up to date with new product releases. I am also on-hand to help to help the Client Services Team with any Lead Generation or eCommerce queries. I do love the fact I can keep my bike inside the office as I cycle into work everyday and not too sure I would trust it being outside on the busy streets of London! On a more serious note, I love the dynamic element of the team here. It is such a creative and rewarding environment to work within. Every person brings a different aspect to the office and I love that. My hot tip for clients would be to always check in with your dedicated Account Manager every now and again. Both clients and Account Managers can go through the new offers setup and check everything is running smoothly. By regularly speaking to your Account Manager it ensures that clients are fully using their instance to the fullest potential. Your Account Manager can show you what features may enhance your business further – which is always a good thing! I love being able to cycle to work everyday, especially in the summer but it is not so nice in the winter! I am a very keen tennis player but I don’t play as much as I would like to. I also like to play squash but finding free courts in London can be quite tricky! In addition to this I would call myself a big foodie. I like to go around eating everything and anything and London is brilliant for this. There is so much variety on our doorstep here, which allows me to try every single kind of cuisine. Everywhere I go someone adapts a traditional dish and this is very interesting and of course yummy! My favourite place to eat is Victoria Park, I often visit here with my fiancé and we take a picnic. My fiancé loves to have the fish and chips there but I am not that big of a fan – I would prefer something more exciting! A snickers, definitely. This is because they are full of punch and are a little nutty! I was born 2600m closer to the stars. This is because the city I was born in, Bogota, is quite high up as it sits in the Andes Mountains!